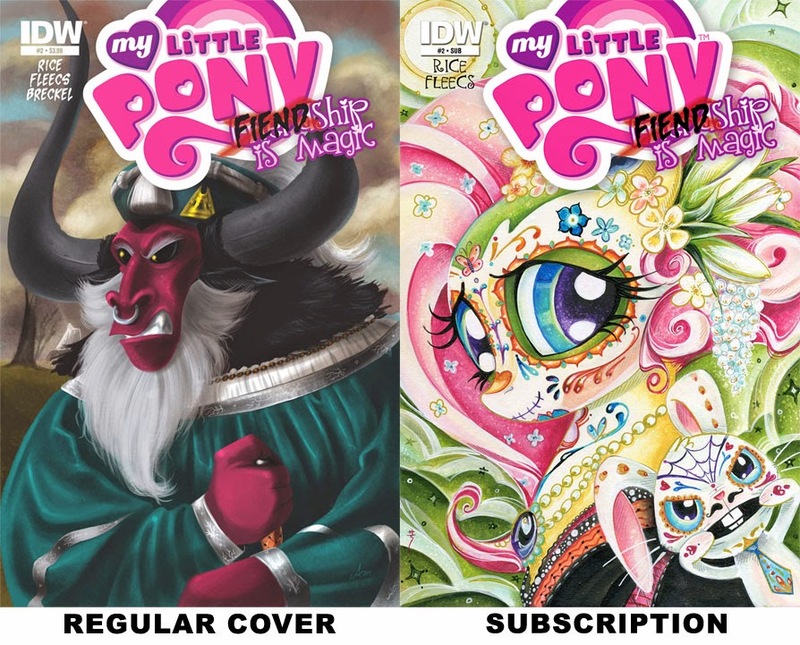 Week two is here, and so is the second issue of the villain-focused series My Little Pony: Fiendship is Magic. 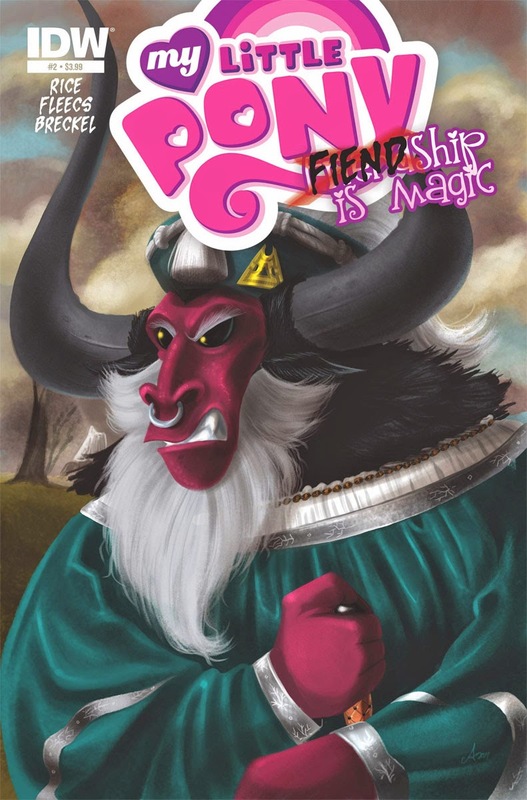 This issue focuses on Tirek, the villain from the season four finale of My Little Pony: Friendship is Magic. Tirek is able to absorb magic from unicorns, growing in size and power until he's able to absorb the magic from other classes as well. He was originally defeated when his brother Scorpan warned the Princesses of his intent to attack, but soon broke free and attacked anew. Fully-powered Tirek vs. Twilight Sparkle. This issue focuses on Tirek before he first journeyed to Equestria. Tirek was the most powerful magic user of his kind, and soon discovered he could feed on unicorn magic. Desiring nothing but power led to his eventual attacks on Equestria on the show. 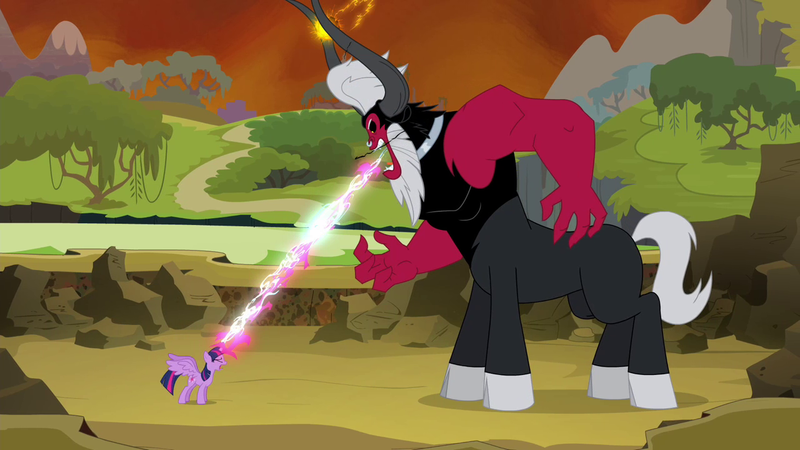 Young Tirek and Scorpan witness Tirek's mentor stealing unicorn magic. GRADE: A. 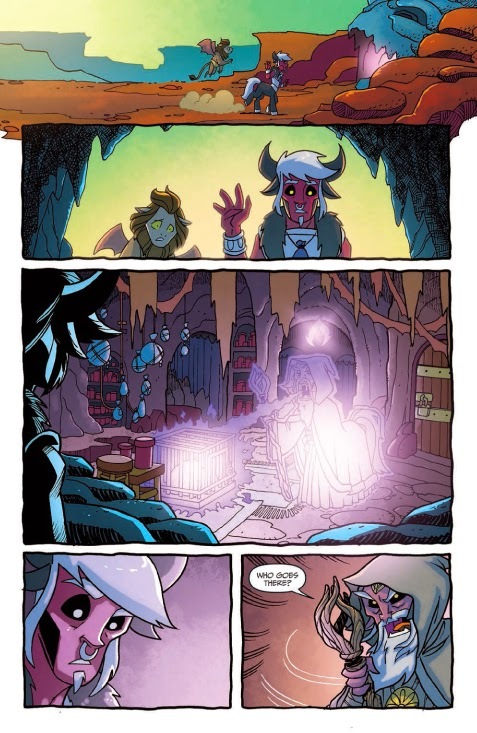 Unlike the previous issue's focus, Christina Rice establishes that Tirek is pure evil through and through with very little redeeming qualities. As a result, this issue lacks some of the comedy that the series is known for, although Scorpan's presence tends to lighten the mood some. Tony Fleecs' art works for the series as well, and Heather Breckel's colors continue to establish the tone of a book, taking on a darker hue here than in the previous issue. This issue came with two covers that you can see below. What did you think? Let us know in the comments or by liking our Facebook page by clicking the link at the top of the right-hand menu.